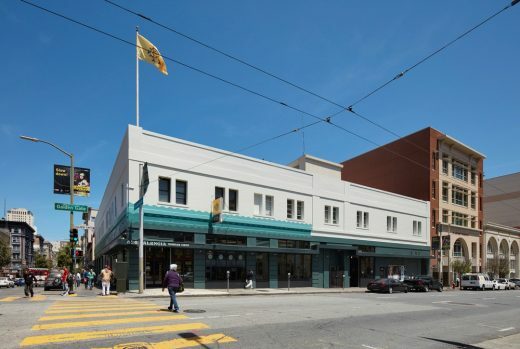 INTERSTICE Architects’ 826 Valencia Tenderloin Center was awarded the Special Commendation Award for Social Responsibility from the AIA San Francisco’s 2017 Design Awards Program. 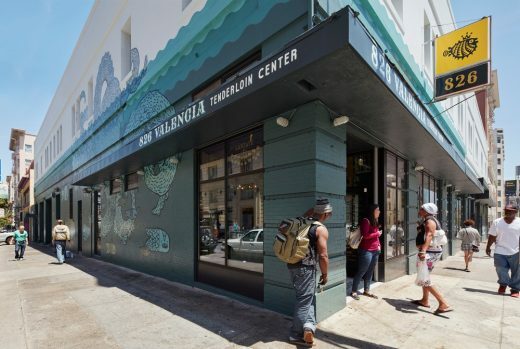 The 826 Valencia Tenderloin Center recently opened its doors on the corner of Leavenworth and Golden Gate in the heart of San Francisco’s Tenderloin Neighborhood. 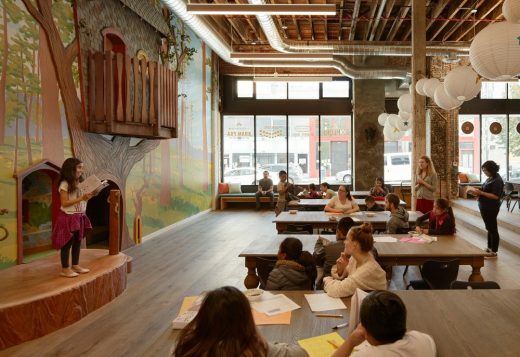 826 Valencia is dedicated to supporting under-resourced young students in developing their creative and expository writing skills and helping teachers inspire creativity through writing. 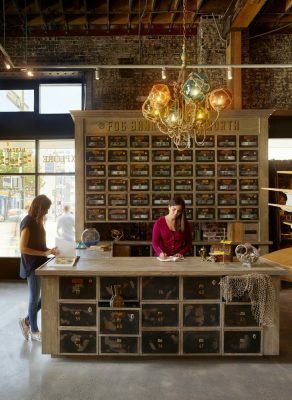 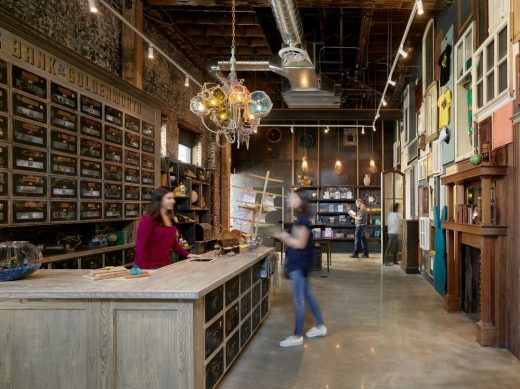 The new 5,200 square foot space serves as a stimulating workshop, retail outlet, and the administrative offices of the national organization. 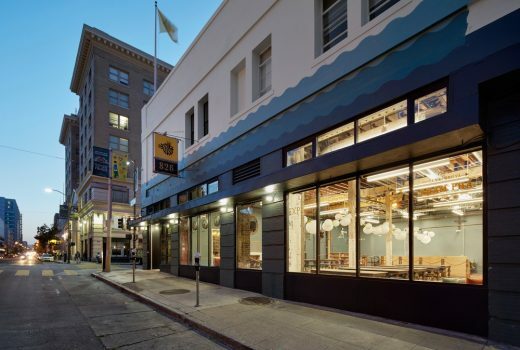 INTERSTICE has a unique relationship with 826 Valencia, beginning as neighbors, with the firm’s first Mission office only three blocks away from where 826 Valencia had their start in 2002. 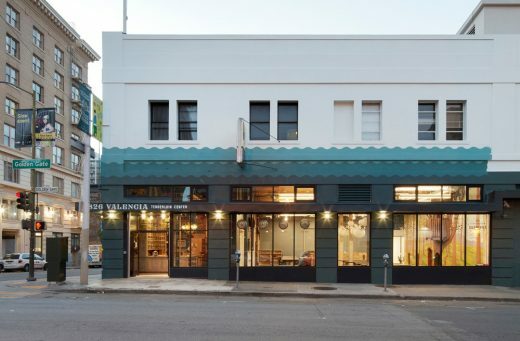 IA Principals Andrew Dunbar and Zoee Astrachan over the years developed a close friendship with the 826 Valencia Foundation co-founder, Ninive Calegari which was cultured around children, education and design. 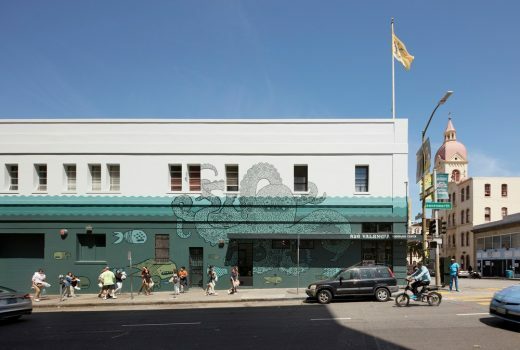 From Parklet Collaborations along Valencia Street in front of their famous “Pirate Supply” Store – involving design charrettes with the children of the 826 community, to designing interiors with Ninive, they watched 826 develop into a national organization for enabling and empowering under resourced youth. 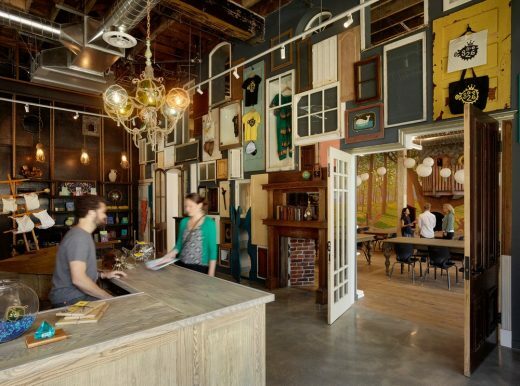 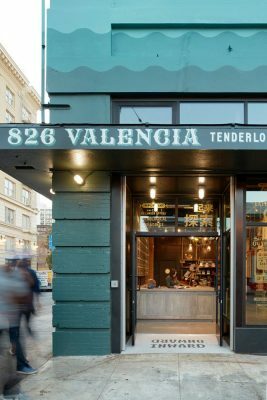 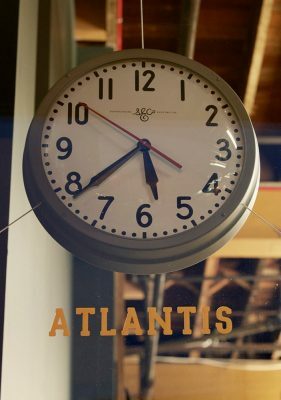 In the summer of 2015 826 Valencia approached INTERSTICE as architect of record, to work with the expanding non-profit to look at a possible new space for a second SF location in the Heart of the Tenderloin neighborhood. 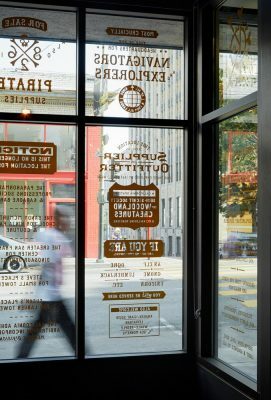 Originally teaming up with a San Francisco-based strategists MK Think with Jonas Kellner, IA helped conceptualize the larger project from its unique retail experience, to its critical teaching/learning workshop programming working with the entire 826 Board of Directors from the very early stages. 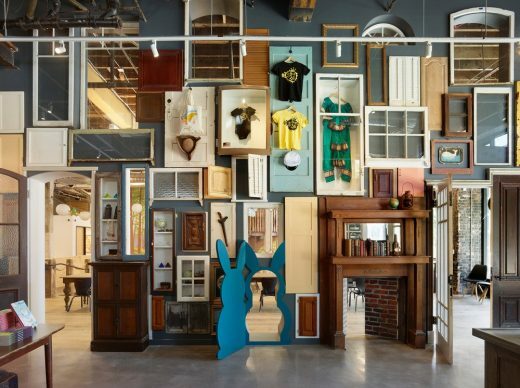 Ideas were generated from the children in the program and brought to life in the final projects. 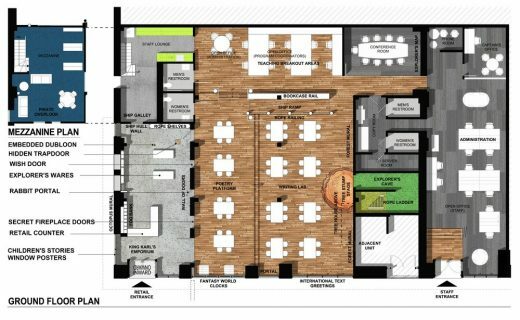 The energetic and committed team grew to include a highly capable group of consultants including Gensler, Office, and BCCI Construction along with many corporate and product sponsors and donors, who all came together to support and offer pro-bono services to this unique project. 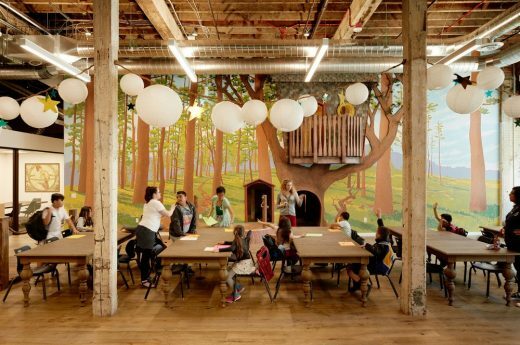 The new location establishes an extraordinary and transformative place – a “weird”, and welcoming space for children – creating a safe space for self expression through creative writing, self publishing and poetry, and the administrative headquarters for the extraordinary adult volunteers that make it all possible – bringing the 826 Valencia workshops and culture to a highly under-served community in the geographic center of San Francisco. 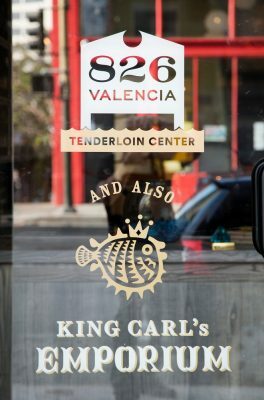 “King Carl’s Emporium,” is the magical store that “disarms” new recruits, young and old, through its royal sense of wonder. 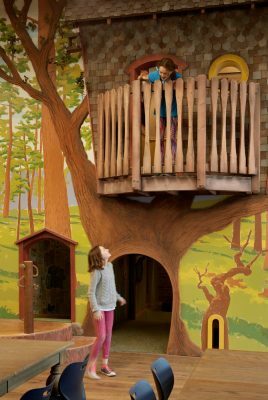 Children inspect the fantastic wares the regal Puffer-Fish collected on his many foreign adventures, before passing through a “wall-of-doors” – where a tree house is accessed through a map-grotto, a “stump-stage” confronts a mysterious “fog-bank,” and hidden treasures are linked by multiple secret ramps and passages. 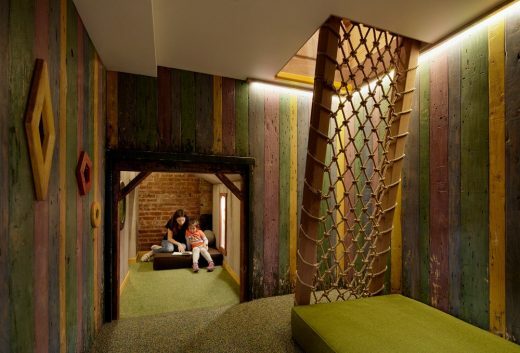 There is a Captain’s locker, and a tree house layered into the offices, workshops, conference rooms and teaching breakout spaces; while on the exterior, the inculcated facade was stripped, revealing turn-of-the-century brickwork, and full-height openings which now flood the previously closed spaces with light. 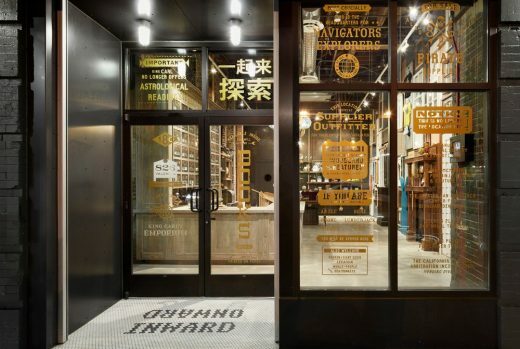 Giant murals and Jules-Verne-esque vitrines enliven the corner with extraordinary words and creatures, in a filmic “mise-en-scene” of the organization’s inspiring mission. 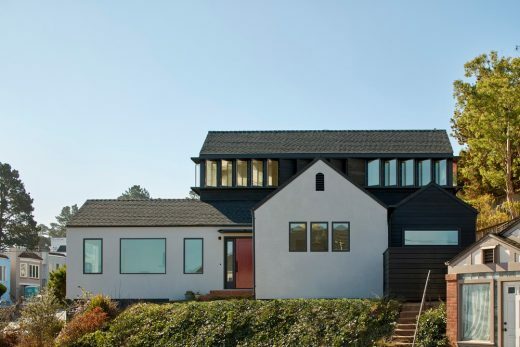 Through a miraculous confluence of public and private energies: the Mayor, a district supervisor, the police and neighboring partners, tireless donors, pro-bono services from designers, the investment of contractors, suppliers and service providers alike, 826 has realized a truly transformative project in a community where it was so desperately needed. 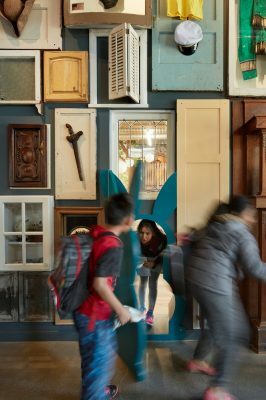 A village came together to invest in design for social impact – the project has not only reinvigorated and strengthened a dilapidated structure, but its true influence is felt on the streets and in the homes of a community that has just begun to realize its creative light.